Like all dogs (purebred or not) Aussies have their share of inheritable health problems. 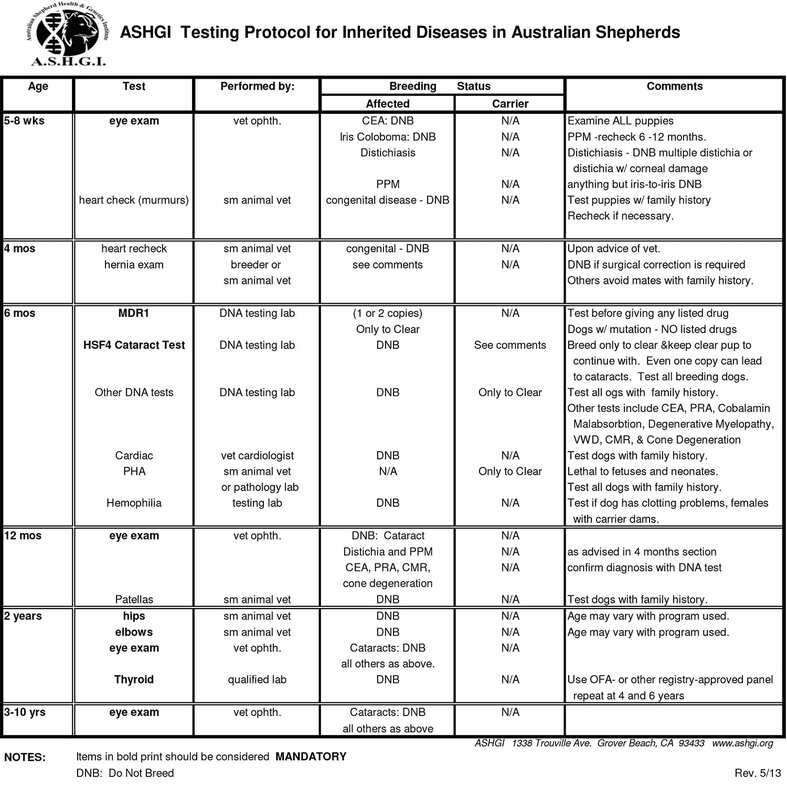 The following list provided by ASHGI is the minimum genetic testing that breeders of Australian Shepherds should be doing. If you are purchasing a puppy from a breeder, ask for what genetic tests/clearances have been done on each parent of the litter of puppies. Then ask to see proof of any testing the breeder has claimed to have done. If any breeder cannot provide you with PROOF that these genetic tests have been done, buy at your own risk! Clearances do not 100% guarantee that a problem might not happen to an offspring, but the chances of it occurring are lessened. All Aussies deserve a chance for a long, healthy life. Responsible breeders use several health tests to screen potential breeding dogs for genetic health problems. Wise buyers will confirm the screening certifications prior to purchasing a pup.